¿Por qué elegir LAE Madrid? What a brilliant course! My teacher created dynamic and energetic classes that kept me smiling, even through the dreaded subjunctive. The wide range of activities and games played ensures that there is a never a dull moment, and learning seems to be so much more organic. I’ve definitely learnt a lot! Thanks to my teacher’s patience and encouragement, I feel so much more confident to use it all. I couldn’t ask more. Thanks again. Learning a new language can be a daunting challenge for anyone. Yet, when learning Spanish at LAE Madrid, rest assured you will find a fun and engaging classroom environment. At the same time, the material was challenging and stimulated my desire to learn and study. It was clear to me that the professors make sure students are in a class that suits their abilities. With everyone feeling comfortable and at ease, it is much easier to get your Spanish confidence up, which lets you really practice speaking during the class sessions. LAE Madrid is the kind of language school that makes you want to get out of bed and head over cause you know that every day it’s a new adventure. I took three months of intensive spanish course, (and still wish could have continued longer) which is 4 hours per day but always felt like 20 minutes. My professor was Gabriel Pistarini and I salute him for getting down to our level and taking the time to learn about the likes and dislikes of each student and preparing classes accordingly. One gets to also interact and learn from a variety of professors as you also get to mingle with other groups and perform activities together thus making you more competent. The teachers are super creative and make each moment fun. I will never in my life forget about the time we reenacted ‘Que hora es’. Still makes me LOL. And re-writing the Manu Chao song! Very fond memories. Other than that, you also get to meet very cool people from different walks of life and everyday is a new interesting conversation. You learn about diverse cultures, do’s and don’ts of various countries, gastronomy and how different phrases have complete different meanings. When you leave, you leave with a new list of contacts you can count on cause you know they had your back when you couldn’t figure out whether something was ‘ser’ or ‘estar’, ‘el’ or ‘la’ and so on. Spanish can be a difficult language but LAE provides a fun, friendly, it’s-ok-to-make-mistakes environment, that will forever live in your heart. Environment, that will forever live in your heart. LAE Madrid has been vital to my journey in Spain, learning Spanish quickly is the most important thing when you want to integrate and enjoy your life in Madrid. The teachers at LAE are very efficient at doing just that, Within one year I have reached an intermediate level and can easily have conversations. Their methodology is very effective as they use a lot of games and audiovisuals to impart their knowledge and your mind learns a lot more while you are having fun. The best thing I learned at LAE is to start thinking in Spanish and not to translate my sentences from English. I would recommend LAE Madrid to anyone who wants to have a strong foundation in Spanish and learn while they enjoy the language. 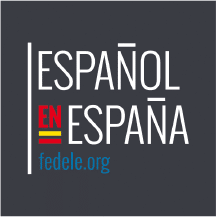 I would recommend LAE Madrid to anyone who wants to have a strong foundation in Spanish and learn while they enjoy the language. We offer flexible timetables and a variety of courses and cultural activities so you’re guaranteed to find what you’re looking for.